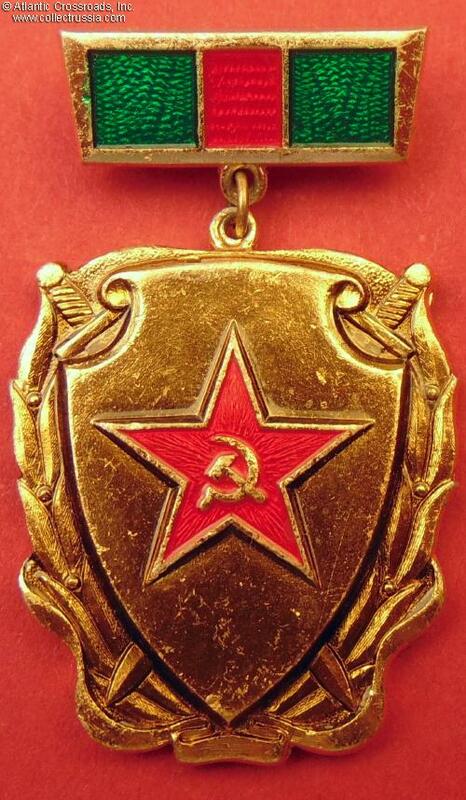 Badge of a Veteran of the 308th NKVD Partisan Motorized Rifle Regiment, circa 1970s-80s. Aluminum, paint, lacquer; medallion is 37.2 mm tall (incl. eyelet), 30.5 mm wide. 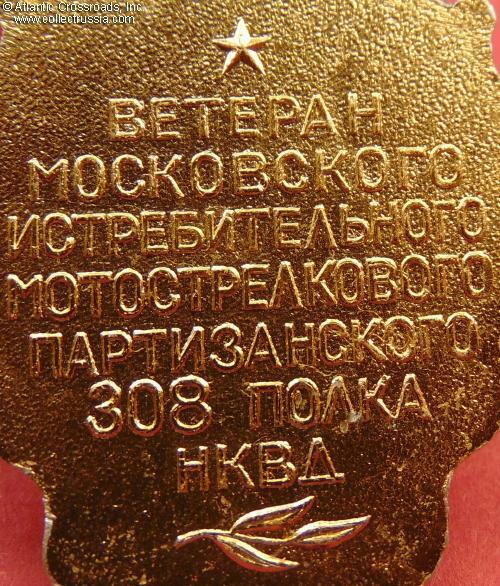 The reverse of the medallion has raised inscription "Veteran of the 308th Moscow Exterminating Motorized Rifle Regiment of NKVD." In excellent condition. 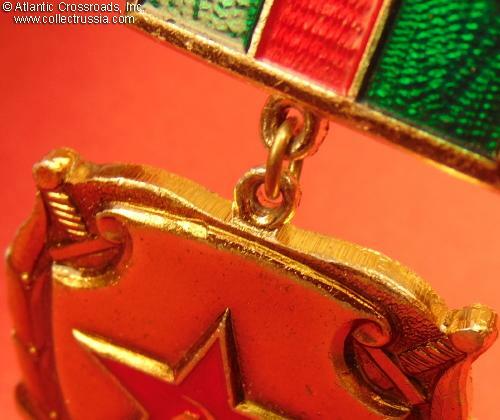 The 308th NKVD Rifle Regiment was created in mid-October 1941, during the most desperate time in the defense of Moscow. 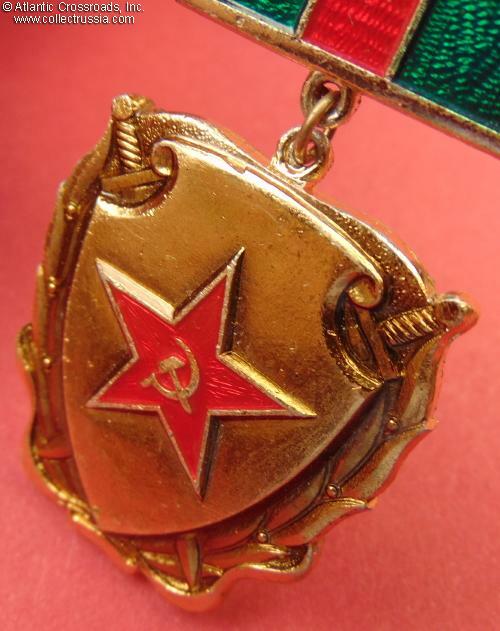 The purpose of this Spetsnaz sabotage unit was specifically to penetrate the front line and wreak havoc in the German rear. During the battle of Moscow this partisan regiment was credited with killing as many as 5000 Nazi soldiers and blowing up a number of railway trains. It continued to fight with great distinction through the end of the war, although it was often used as elite infantry - for example in defending Grozny in the Caucasus in 1942 and storming the infamous Blue Line in the Kuban region in 1943. 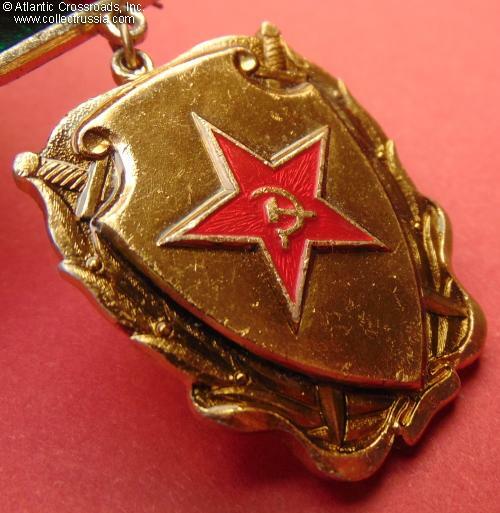 In general, any badges awarded to members of specific WW2 partisan units as opposed to larger territorial formations or "movements" are very uncommon. 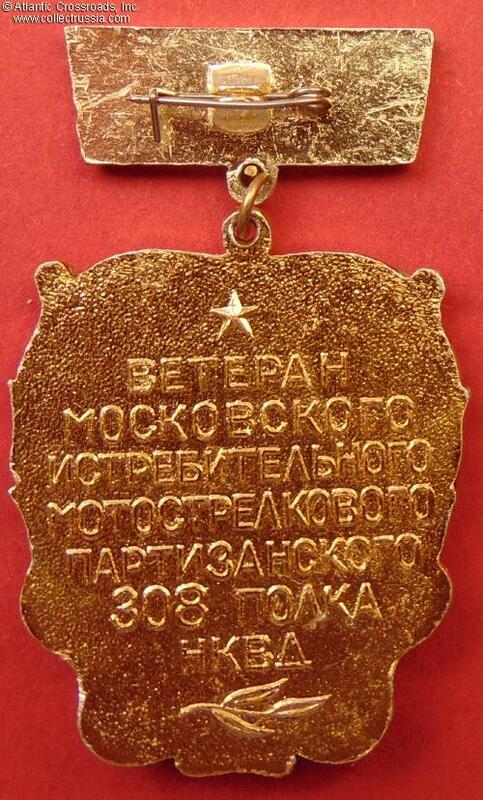 This award of a veteran of the elite NKVD Spetsnaz regiment - which initially comprised only 4000 fighters, both men and women - is especially rare.